Toronto (ON), Canada — Zevrix Solutions today announces Package Central 1.11.6, a maintenance update to the company’s file packaging automation solution for Adobe InDesign. Originally developed for a major publisher in the United States, the software automates InDesign packaging by processing files from watched hot folders. Package Central solves the problem of centralized packaging and archiving of InDesign projects in a workgroup environment, and can serve unlimited users on a network. The new version eliminates workflow interruptions caused by Apple Event sandboxing – a new security measure introduced in macOS Mojave. Under the new policy, apps can no longer control other apps without initial user authorization. Which, in turn, directly affects productivity tools that require access to InDesign and other system resources in order to perform complex workflow automation tasks. The new update of Package Central streamlines the authorization process by clearing all permissions during launch time, which eliminates workflow interruptions during file processing. The app will also automatically reset Apple Event permissions if the authorization was previously revoked by accident. Package Central can be purchased for $149.95 from Zevrix website, as well as from authorized resellers. Trial is also available for download. Package Central requires macOS 10.7-10.14 and Adobe InDesign CS5-CC 2019. Located in Toronto, Canada, Zevrix Solutions provides productivity solutions for Adobe Creative Suite software, graphic file diagnostics and Microsoft Office on macOS. Zevrix Solutions is dedicated to helping professionals increase their profits through automating their everyday tasks, producing error-free documents, saving disk space and cutting production costs. For more information, visit http://www.zevrix.com. Zevrix Solutions announces Package Central 1.11.4, a compatibility update to company’s file packaging workflow automation solution for Adobe InDesign. The software automatically collects InDesign documents along with their fonts and links from watched hot folders. Package Central can serve unlimited users on a network and offers email notifications, variable folder names, PDF/IDML export, and more. The new version adds support for InDesign CC 2019 featured as part of Adobe Creative Cloud. Toronto (ON), Canada — Zevrix Solutions today announces Package Central 1.11.4, a compatibility update to its document packaging workflow automation solution for Adobe InDesign. Originally developed for a major publisher in the United States, the software automates InDesign packaging by processing files from hot folders. Package Central offloads file packaging to a central system leaving operator workstations free from the document collection process. Located in Toronto, Canada, Zevrix Solutions provides automation and productivity solutions for Adobe Creative Cloud and Creative Suite software, PDF workflows, graphic file diagnostics and Microsoft Office output on Mac OS. Zevrix is dedicated to help professionals increase their profits through automating everyday tasks, producing error-free documents, saving disk space and cutting production costs. For more information, visit http://www.zevrix.com. Zevrix Solutions announces Deliver Express 2.6.6, a compatibility update to company’s hot folder based file transfer automation solution. Deliver Express supports FTP, SFTP, Amazon S3, WebDAV and other remote and local services. The software offers automatic email delivery notifications, file compression, upload history, instant PDF creation and more. The app can serve unlimited users on a network. The new version introduces support for macOS 10.14 Mojave and fixes some FTP connection issues. Toronto (ON), Canada — Zevrix Solutions today announces Deliver Express 2.6.6, a compatibility update to company’s file transfer automation solution. Deliver Express sends files automatically from watched hot folders and supports FTP, SFTP, Amazon S3, WebDAV, AFP and other remote and local services. The software can run absolutely unattended and offers email notifications, delivery to multiple destinations, file compression and encryption, and much more. The new version introduces support for the recently released macOS 10.14 Mojave and is offered as a free update to licensed users. While Deliver Express is fully compatible with the new Dark Mode, the app currently preserves its original appearance. A dark appearance will be introduced in the future. The update also fixes connection issue that occurred during file transfer to some FTP sites. 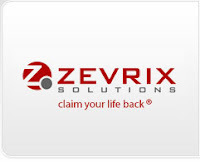 Deliver Express can be purchased from Zevrix website as well as from authorized resellers. The license prices are based on the maximum number of allowed destinations and range from US$29.95 to $299.95. The update is free for licensed customers. Trial is also available for download. Deliver Express requires macOS 10.5-10.14. Zevrix Solutions announces Package Central 1.11.2, a compatibility update to company’s document packaging automation solution for Adobe InDesign. The software automates InDesign document collection by processing files from watched hot folders. Package Central can serve unlimited users on a network and offers email notifications, variable folder names, PDF/IDML export, and more. The new version introduces support for macOS 10.14 Mojave and addresses some minor UI glitches. Toronto (ON), Canada — Zevrix Solutions today announces Package Central 1.11.2, a compatibility update to the company’s file packaging automation solution for Adobe InDesign. Originally developed for a major publisher in the United States, the software automates InDesign packaging by processing files from watched hot folders. Package Central solves the problem of centralized packaging and archiving of InDesign projects in a workgroup environment, and can serve unlimited users on a network. Under the Package Central workflow, production artists, prepress operators and designers simply submit files to watched hot folders that reside on a network. The software automatically collects InDesign files along with their fonts and links, thus freeing user’s time for important tasks such as design and layout. Package Central can be purchased for $149.95 from Zevrix website, as well as from authorized resellers. Trial is also available for download. Package Central requires macOS 10.7-10.14 and Adobe InDesign CS5-CC 2018.